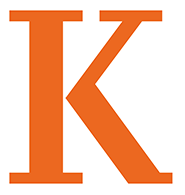 In the tradition of a nationally recognized liberal arts college that awards the BA degree in Music, student musicians at Kalamazoo College enjoy the highest standards of teaching and learning combined with the special opportunities for individual study and growth unique to the "K" plan. The Music Department seeks to cultivate an understanding of the language and history of music and to nurture artistic skill and musicianship. Music performance opportunities (both solo and ensemble) combine with academic coursework (in music theory and history) to form the core of our curriculum. In the spirit of a liberal arts education, all performance activity and the vast majority of our academic courses are open to majors and non-majors alike. The major or minor in music intensifies this integrated approach to create highly creative, analytical thinkers with a great amount of self-discipline, independent organizational skills, and confidence in stage presence. They are welcomed by graduate schools and employers alike. Tengyue Zhang is the Rose Augustine Grand Prize winner, which is known as the most prestigious guitar contest in the world. Come and hear a variety of vocal literature! Academy Street Winds Concert - "Animal Crackers"